A Few Valentines Day Tips For Guys! 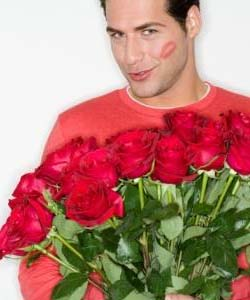 Ahhh…The gift giving madness of Christmas is neatly tucked behind you, but look out because here comes Valentines Day ! And the pressure is on to pull off yet another gift giving extravaganza that will melt her heart, Right? Well, I have have a confession to make, and I know I am not alone; I really don’t like the commerciality that surrounds Valentines Day. Oh yes, the chocolates are yummy, no doubt about that. The roses are pretty and smell very nice too. The singing stuffed gorilla has an annoying but cute sentiment to express. And the diamond and heart shaped necklace and matching earrings are a nice touch. But really, do any of those things say “I love you”? Do they really convey what you feel for her? Probably not. Why? Because they are plain, ordinary, generic, and contrived ~ must I go on? Is that the message you want to send to her? Let’s face it , it doesn’t take much thought to go out and buy a card and gift, slap a bow on it and call it good, now does it? So here are a few tips that will make your celebration special and unique without spending a fortune. But first, you will need to put your creative thinking cap on for a bit. 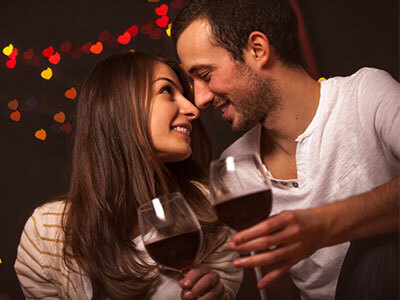 Remember some of these ideas will go beyond just Valentines Day, but that is what makes them so special and unique. If you find a creative idea you know she would love but it just doesn’t seem to fit your character, then you have two options; 1 – Stretch yourself and give it a try or 2 – Be yourself and skip it. Remember, she will really appreciate the special effort you made even if it is not perfectly done. Maybe it’s the way she always laughs at your corny jokes or maybe you love the way her eyes light up when you say “Honey, why don’t you let me do the dishes tonight.” Type it up and print it out (or better yet hand write them) on a nice piece of stationary or parchment paper and put it in a frame so she can read them often. This is something you can do ahead of time or do it together. Of course since it’s Valentine’s Day, you will only be searching for heart shaped rocks. Bring them home, wash them up, then write something on them, or just paint or shelac them. Stones of rememberance carry powerful meanings. Serve her breakfast in bed, but instead of just cereal and toast, try some French Toast stuffed with cream cheese and jam, chocolate dipped strawberries and a speciality flavored coffee or tea. Really, it’s not as hard as it sounds. Taking turns giving each other bites is a nice touch too. Obviously, this doesn’t apply if you are not married yet, but think about it for future Valentine’s Day ideas. (This doesn’t need to be a public ceremony.The more private the better sometimes.) What you will do is add the element of salt to the ceremony. That is, you each have a small bag of salt. Then you each take some pinches of salt and add it to the other’s bag, then you shake them up. This ritual signifies that your commitment to one another cannot be broken unless you can separate your salt from hers. Buy her a special journal. You can find them just about anywhere for under $10.00. Then use it through time to leave her love notes or simply to express your gratitude for who she is and all that she does. Leave some space for her to respond back to you as well. If you have young children then this is a sure bet because she probably doesn’t take much time out for herself. Give her a couple of hours to spend anyway she wants ~ ideally just indulging herself. Encourage her to take a warm bubble bath, watch an episode of “Dancing with the stars” or catch up on reading her favorite book or magazines. Hint: This tip works particularly well for Mother’s Day too! If you go to your local library you are sure to find a DVD about some exotic place you’ve never been to. Think about where she would want to go if given the chance. Ireland? Hawaii? The Bahamas? Do a little research and prepare some snacks that you might find from that special place and watch the movie together, acting as if you are really there. Are there things you could do for her that would be helpful and make her life a little easier? Then promise to do some of those things. Such as promise to check the oil, washer fluid and air pressure in tires at least once a month for the next year. Or promise to take the garbage out BEFORE it overflows. Little gestures mean a lot. Post-it love notes left in unsuspecting places can really bring a smile to anyone’s face. Put one on the next check in her check book, inside her favorite coffee or tea mug, on the pull down mirror in her car. Try being as sneaky as possible. Maybe it was your first date or maybe it was your fiftieth, but I am sure you can remember a very special date you had. Granted it may not be possible to totally reinact your date, but you may have some pictures to help you reminisce the moment together. You can get as elaborate as you want with this one ~ manicure, pedicure, facial. But really, if you want to pamper her, try just brushing her hair and giving her a scalp message for a few minutes. A little pampering like this can go a long way. There is something very romantic about slowing dancing together. Make a CD of some of her favorite love songs and spend some time dancing through them together. Again, you can find some nice Romance novels at the library. Read a few chapters to her every now and then. Try changing the names to read yours and hers. This can be kind of tricky so you might have to buy a book and cross out the names and write yours in their place. I hope you have discovered some romantic ways to say “I love you” that you may not of thought of before. Keeping it simple is a sure way to draw closer to one another without breaking the bank. So go on then with your bad self and start creating your own very Happy Valentine’s Day celebration for you and you special lady.